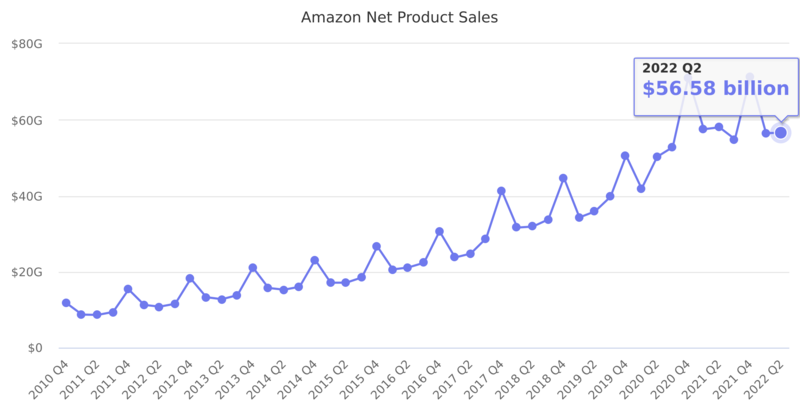 Value of products sold by Amazon in all markets. This doesn't include marketplace sales, which can be expected to be 1.5-2x of net sales value. Last reported quarter 2018 Q3 it was $33.75 billion, up by 17% year-over-year from $28.77 billion. From $94.67 billion in 2016 it increased by 25% to $118.57 billion in 2017.